As a physician, my most important role is to provide the highest level of dermatology care to my patients, meeting each individual diagnosis with the best treatment possible. It is also with patients in mind that I continually endeavor to influence future dermatologists, providing education as a clinical professor and by lecturing across the country to groups that can benefit from my knowledge and experience in this specialty. Eric W. Baum, M.D. is a board-certified dermatologist and clinical professor of Dermatology at the University of Alabama Medical Center in Birmingham. He has been on staff at the Baptist Medical Center Family Practice Residency Program and at Hunter College of New York, and if a Fellow of The American Academy of Dermatology. Dr. Baum received his medical degree from Stony Brook Medical Center in Stony Brook New York. He completed an internship at Lincoln Hospital of New York Medical College and a residency in Dermatology at the University of Alabama Medical Center. Dr. Baum has presented special lectures at the American Academy of Dermatology’s Gross and Microscopic Symposium on giant cell arteritis and cutaneous manifestations of angiolymphoid hyperplasia. He has lectured frequently on the topic of skin cancer, isotretinoin, fungus, atopic dermatitis, psoriasis, acne, rosacea, onychomycosis and genital herpes. He has published 36 articles in the medical literature, including the JAAD, AOD and JAMA. 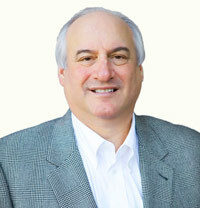 Dr. Baum has also served as the President, and Secretary-Treasurer of The Alabama Dermatology Society. Dr. Baum has served on the Advisory Council of the American Academy of Dermatology. Dr. Baum has been named the American Cancer Society’s volunteer of the Year. Before his medical career, Dr. Baum had an extensive background in athletics. He played basketball in the 1971 Pan-American Games in Cali, Colombia and in the 1972 Olympics in Munich, Germany. He was the freshman basketball coach and assistant varsity basketball coach at Hunter College. He also served as head tennis coach at the same institution and has been inducted into three Basketball Sports Hall of Fames. Dr. Baum has a special interest in medical education. He is the founder of “Dermatology Summer Symposium” (formerly Dermatology on the Beach) and has served as it’s only Program Director, since its inception, 25 years ago. He is the founding father of “Seminar at Sea”, which began in 2004 and Seminar in the City (2007). He is the Director of Medical Education for the Alabama Dermatology Society.